Firstly the hotel was just insane. I had no idea I was staying there until the Thursday before, so ditching the plan to drive to Luton at 6am on race day came as pleasant surprise! Had I known how nice the venue was I would have got there far earlier to take advantage of it! 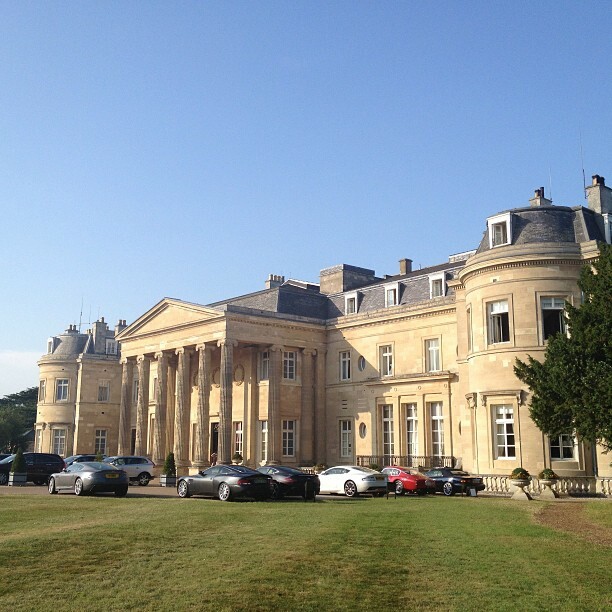 Luton Hoo…the most insanely posh hotel I’ve ever visited. 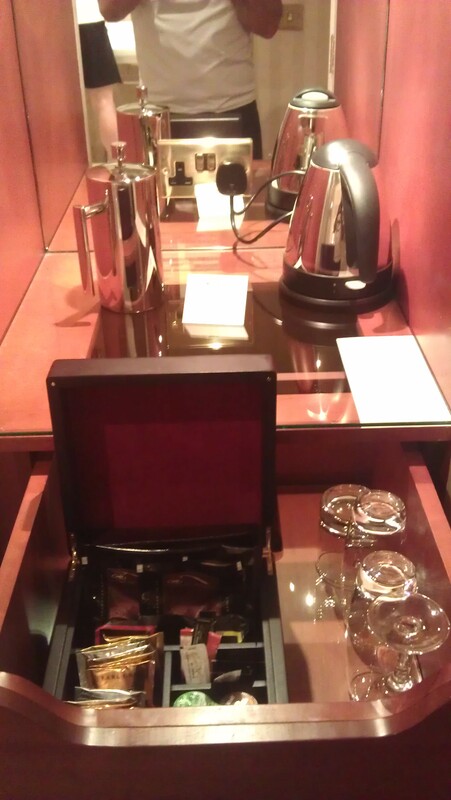 The poshest tea facilities…you don’t get this in a Premier Inn! I guess there’s worse places to drown. Then there’s the people I met. I’d been communicating with the team at Chobani for a few weeks, but it was lovely to meet them. John, Ellie and the team were fantastic folk (I knew they would be!) and looked after us really well. They worked hard all day promoting the brand (and some even took part in the tri!) but they always had a smile and a supportive word for everyone. 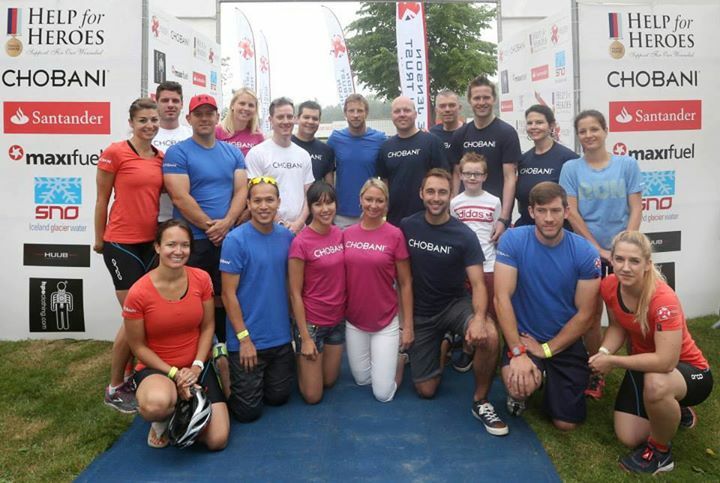 Me, the Chobani team, the other blogging triathletes and some bloke called Jenson. They were even supplying breakfast which was a lifesaver after my plans fell to pieces! 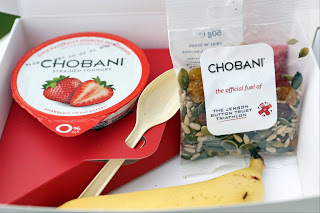 Fuel, the Chobani way. I’ll be gutted when they stop sending me this stuff! And then there was my fellow triathletes, especially the three women who made up my “Cho Bros” Jen, Holly and Sophie. Sophie had a little tumble on her bike on the morning of the tri heading to the start area. Still competed in her wave and did really well, despite her nerves and injury. Found out later that she’d fractured her elbow during her fall! Seriously, did a triathlon, busted arm…LEGEND! Meanwhile Jen and Holly were amazing in their qualifiers and BOTH squeezed through to the ladies final. They took a little convincing to go for the longer distances, but once they were under way they nailed the full triathlon! It was a pleasure to share the experience with them and be there to cheer them on. 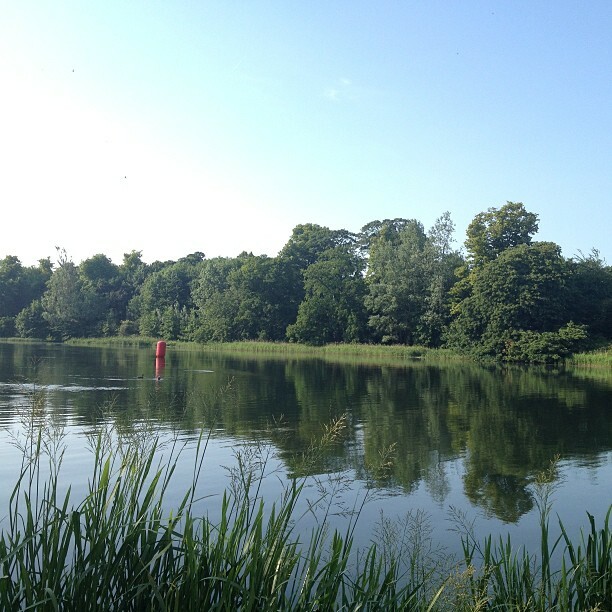 What of my own triathlon experience? Well it’s true that I’m struggling to look back with any great enjoyment on the experience, but I have been told by many people that just because I didn’t perform as I’d wished I shouldn’t be too hard on myself. 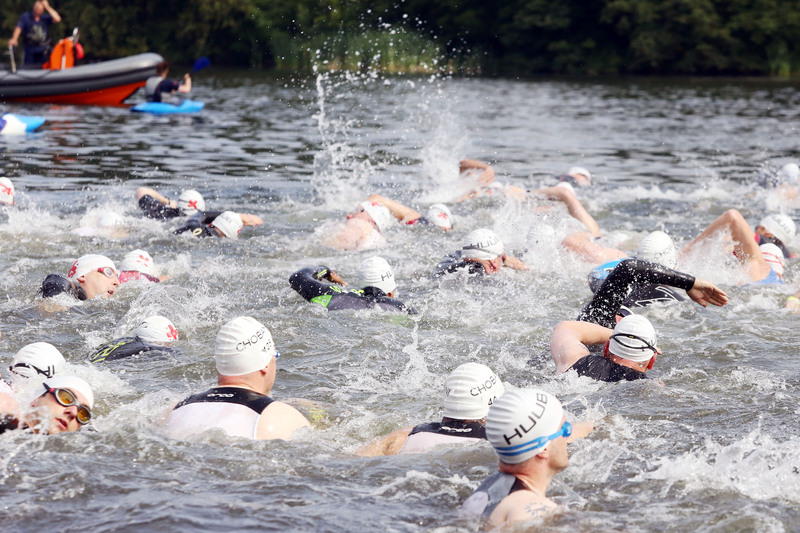 Reading the blogs of the other competitors I’m reminded that less than 5 weeks before I wasn’t even thinking about triathlons, primarily because I couldn’t swim. I’m still not convinced I can swim, but I can survive and that was good enough on the day. When the fear set in I didn’t look for the boat and get pulled from the water, and that in itself is a victory. That wetsuit clad arm on the right is me, showing good form in the first ten metres…it didn’t last! Rising like a monster from the deep..I. Did. Not. Drown. Looking at the splits for the ride and the run I was better than a lot of the other competitors too, and I know I had more that I could have given had I known the course and had my head in the game. …but I am a triathlete. 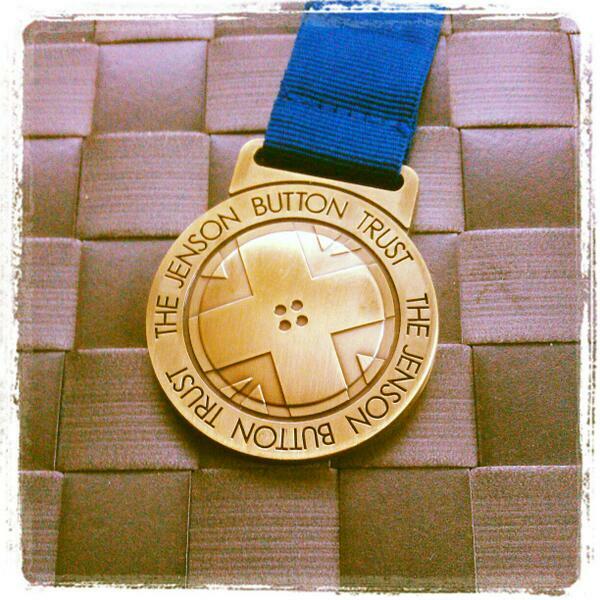 And I have a medal to prove it. 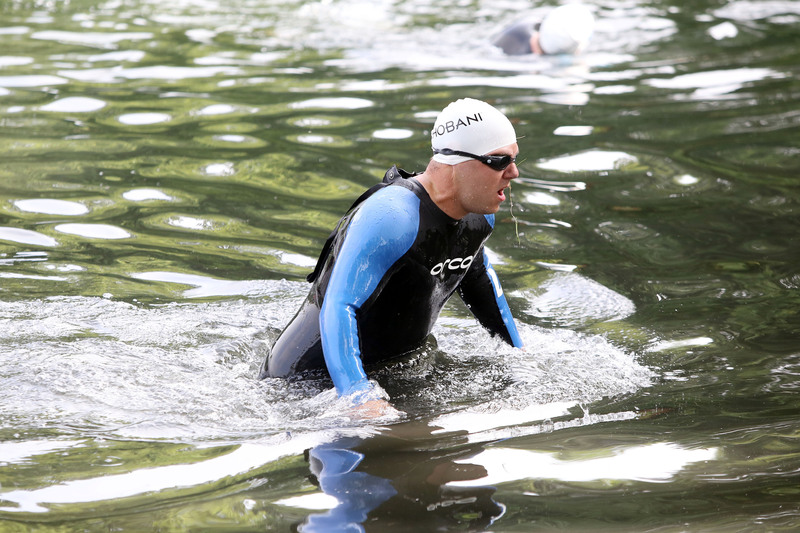 This entry was posted in Events, Life, Riding, Running, swimming, Triathlon and tagged Chobani, Fear, Jenson Button Trust, Riding, running, Swimming, triathlon. Bookmark the permalink. 5 Responses to It Wasn’t All Bad! I’m definitely continuing the swimming, but with no pressure for a while! If I can’t progress in a year on what I managed in 5 weeks then I really should give up! Would definitely consider another one next year and would love to share another event with you and the other Cho Bros! Undesired facial hair is equally as futile. In the series of exams upon themsesalomon menes demonstrated in appropriate, Kilpatrick blacked out there components of his or her face as well as examined a match up towards his or her authentic photo. A report of One hundred eighty is an excellent match up, although any report of Thirty or beneath can’t be known coming from a untrue optimistic.